I still can't believe I won these masks in an Instagram giveaway - my luck has definitely been in lately as I also won Olly Murs tickets too! I have been wanting to try these for the longest time but I had always been put off by the price in case I didn't like them so I was so excited to put them to the test when I won them, I can't believe how big they both are! 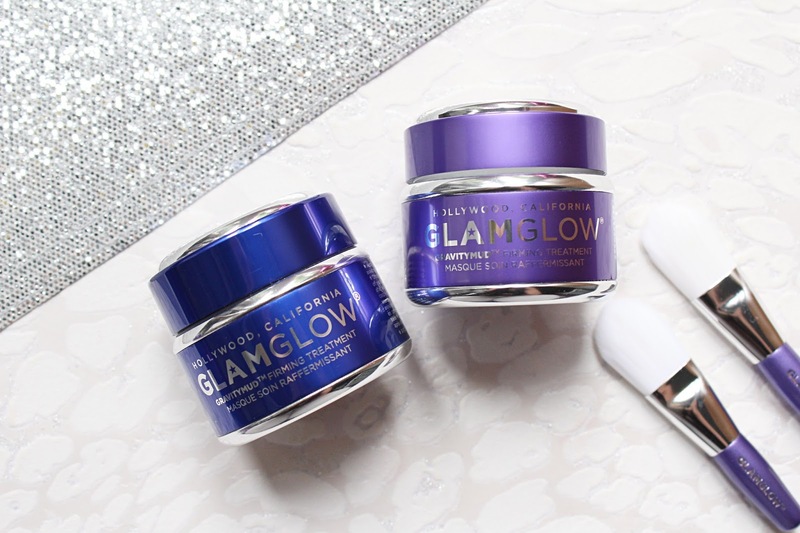 These are the GravityMud Firming Treatments from GlamGlow. 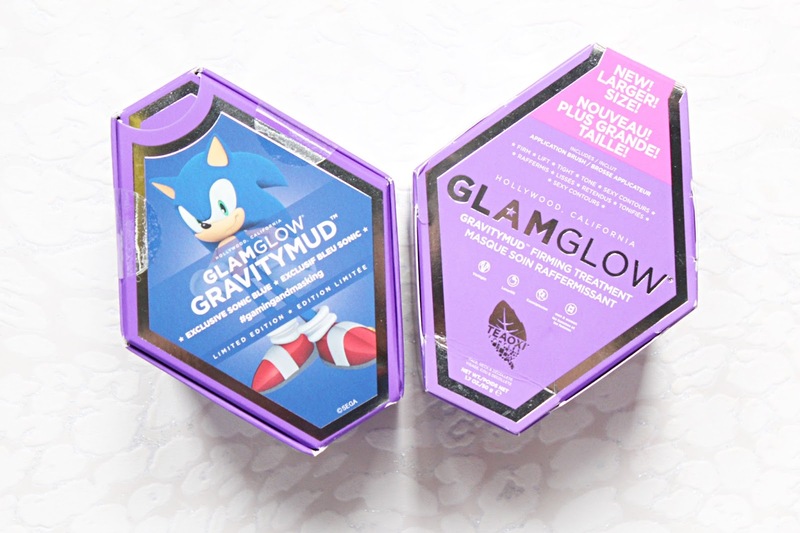 Both of these masks are exactly the same however one is the Sonic the Hedgehog limited edition one which is blue rather than silver which is available to buy from Sephora. Inside the box of each mask is the luxurious pot of the mask as well as a small brush, I am so glad that they include a brush with these masks as it is the best way to apply them and it also ensures that you don't waste any product. These masks are suitable for all but sensitive skin types, I do have every so slightly sensitive skin and I haven't had anything but good results from this masks! This is a firming treatment which is going to do a tonne of amazing things for the skin such as firming, lighting, tightening, and toning the skin to make the skin appear more defined and feel firmer. These have been powdered by Teaoxi Marshmallow and Licorice Leaf and have mega-targeted ingredients which is why they change colour on the skin. These are peel-off masks, there is something so satisfying about peeling off a face mask, and they need to be left on for 20-30 minutes before you peel it off and it will slightly change colour during that time. I love how these look on the skin, the original GravityMud makes you look a bit like the tin man and the limited edition one turns your skin metallic blue! 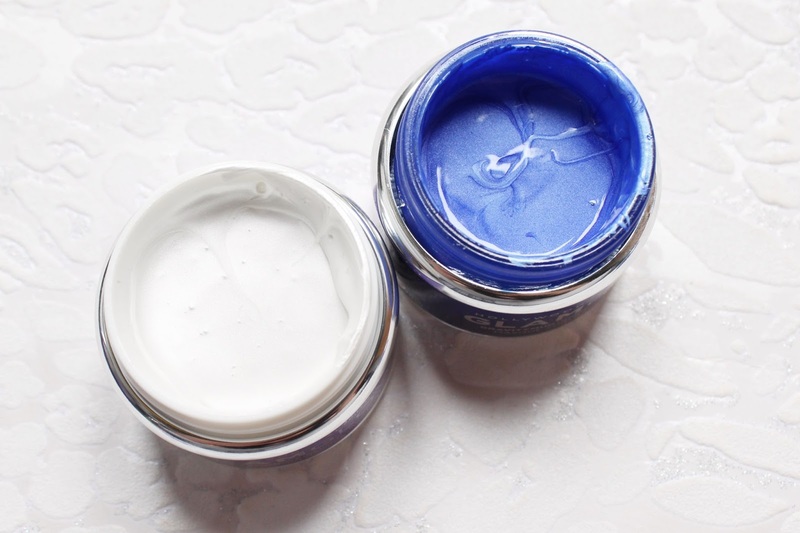 While the colour of the masks doesn't change the results I get from the treatment, I do prefer to use the limited edition version as it makes it a little more fun, who doesn't want a metallic blue face for half an hour?! I wasn't sure if these would actually benefit my skin as I find with a lot of peel off masks that they don't do much but I have been so impressed with them! I have been using the mask about two times a week and I have noticed such a difference in my skin. Immediately after I remove the mask, my skin feel super soft and feels plumped. I would recommend always do a thicker layer on the skin than you think you need as it makes it so much easier to peel off once dry. While it is on the skin I don't find it to feel uncomfortable or at all drying and it does have a light sweet scent to it. Once of my favourite effects this has on my skin is how much healthier and brighter this makes my skin look. As I have been struggling with my acne a lot recently, I have noticed that my skin was looking quite dull so this was just the treatment I needed! Unlike many peel off masks, this doesn't leave the skin feeling uncomfortably tight afterwards or dry in the slightest. This would be great to use before an event to add some luminosity to the skin before going ahead and applying your makeup. I also noticed that this has helped with some of my breakouts as by the next morning they were dramatically reduced which I was so happy about! 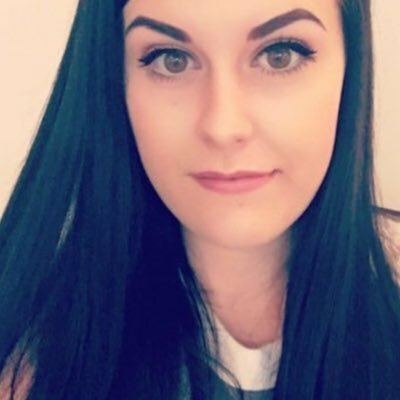 I can't comment too much on the firming results just yet as I haven't been using it quite long enough but I will update you when I do! The GlamGlow GravityMud Treatment retails for £39 on the GlamGlow website - HERE. 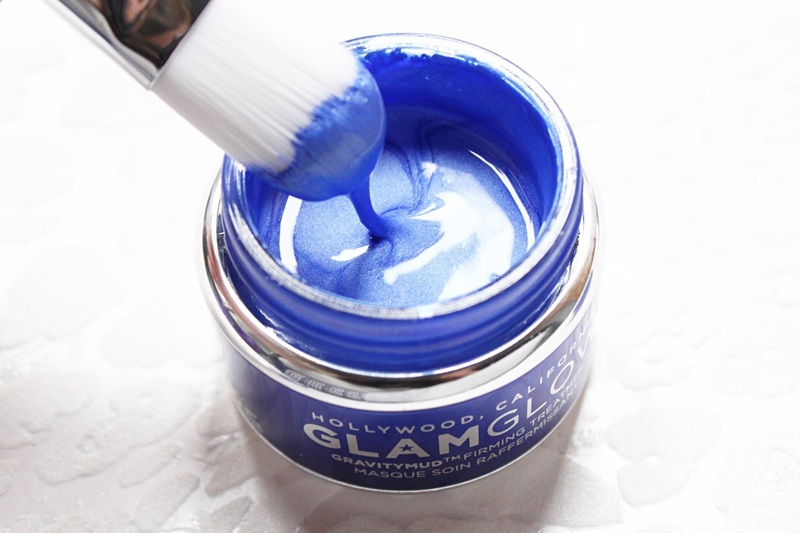 If you do order directly from GlamGlow, they offer free delivery as standard and you can get two free samples with every order!